These days, were everyone is a critic and an expert and can make or break a business with a single, scathing review, the power of the customer has never been greater. Businesses have had to raise their game customer service-wise, which is good for all of us, but what happens when people take advantage and leave false or unfair reviews out of nothing more than spite? The key is in the response. 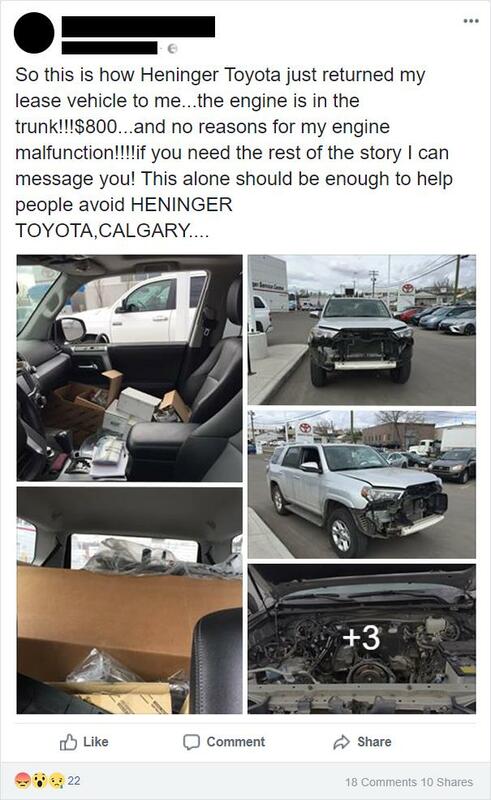 Heninger Toyota, a dealership in Calgary, Alberta, received a less than flattering write up from a customer recently, who basically accused them of wrecking her car. “The engine is in the trunk!” She wrote. 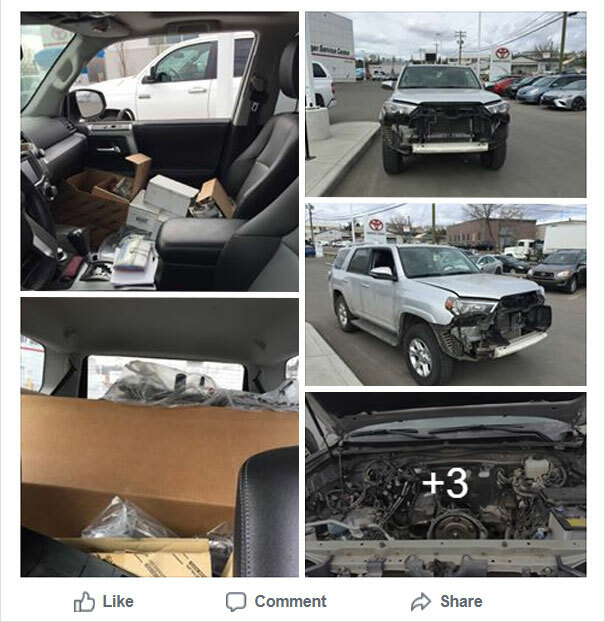 “This alone should be enough to help people avoid Heninger.” The rest of the details were left out, but it was enough to get the indignation flowing, and the dealership is suddenly enemy no.1 through no fault of their own. Until they decided to present their version of events. Heninger’s response should be used as a template for all businesses who have been unfairly targeted with false and misleading reviews, polite but firm, factual and backed by evidence. Scroll down below to read it for yourself and please, don’t forget to change your oil! 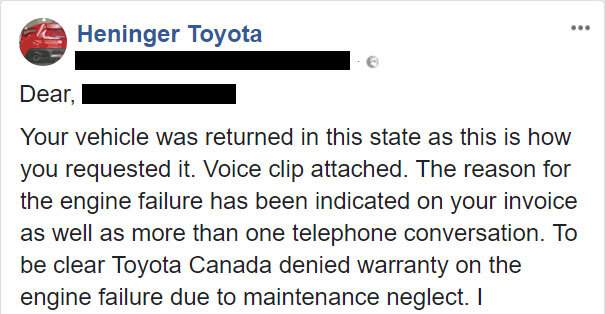 Update: the voice clip is not available anymore since the dealership has removed the post from Facebook.